Gold Mountain Trading provides customers with old west replica badges. 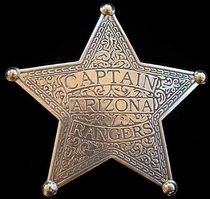 Our collection includes a number of different designs, such as the five point silver star badge, the U.S. Marshall badge, and the Pony Express badge. 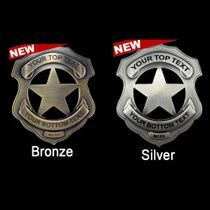 Each replica badge can be personalized to your liking, or you can purchase a fully customized old west replica badge for design, shape, and color of your choosing!